Jiaxing Vestel Battery Co., Ltd.
AA LR6 AM3 alkaline battery / High Quality LR6 Alkaline Battery IGNITE battery with CE,SGS compliance,competitive price and value for money,prompt lead time, 5 years shelf life. 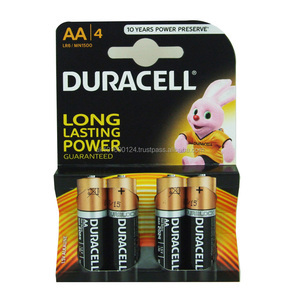 ALKALINE BATTERY NO MERCURY ADDED 1.High Capacity 2.Aluminium foil jacket 3.stalbe quality with good price 4. 5 years shelf life OEM order welcome! Discharge time: 70 hours base on discharge condition is from 7.0k&Omega; to 0.9v. 2&gt;. No mercury and cadmium added, environmentally-friendly ,greenery. 3&gt;. Certification:CE and SGS certified. 5&gt;. Changzhou Kiwin Energy Co., Ltd.
Changzhou Strengh Power Technology Co., Ltd.
2. OEM The delivery is 25 days after receipt of your deposit. Our sealing size is the smallest in the industry. 2. OEM The delivery is 25 days after receipt of your deposit. 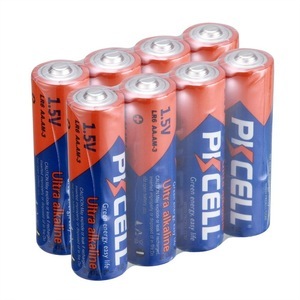 Shenzhen JBWCELL Battery Co., Ltd.
For samples: Support free samples, delivery within 1-2 days. Q Can I add or delete items from my order if I change my mind9 A Yes, but you need to tell us asap. Q How long is the delivery time9 A Normally 3-20 working days after receiving your payment. Xinxiang Xinkeli Power Co., Ltd.
4. Due to stock status and time differences, we will choose to ship your items from our first available warehouse for fast delivery. Payment: 1. Alipay, T/T, Paypal are acceptable, and other payment methods are also available in alibaba secure payment service. 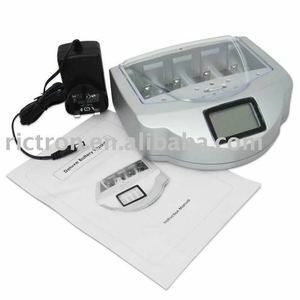 Ltd Product: alkaline cells, carbon batteries, lithium manganese button batteries, Ni-MH and Ni-CD rechargeable batteries, PLIB and battery chargers, etc. ,Ltd is a listed company ,Founded in 2001, professional in manufacturing alkaline battery & zinc carbon battery for 14 years. covers over 45,000 square meters , factory have been certified with ISO9001 and ISO14001.All our products are Environmental protection and have received the certifications such as:Rohs,REACH,SGS,MSDS. Certification Contact Information Ada Chen Skype: xiaokanbuyu Phone number: 0769-86201111-8173 Mobile: 15899923036 We will appreciate it if we can establish bussiness relationship with each other! 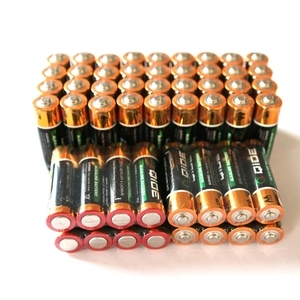 LR6 alkaline battery Features: 1) LR6 battery, AA size, AM-3, alkaline battery, AA battery, dry battery, primary battery 2) Brand: KAMCY 3) Nominal Voltage: 1.5V 4) Average Weight: 23g 5) Nominal Capacity: 2350mAh 6) Test Condition: 43&Omega; load resistance, discharge 4 hours per day at 20&plusmn;2C, end-point voltage 0.9Volt 7) Diameter: 14.5mm 8) Height: 50.5mm 9) Shelf Life: 5 Years 10) Battery Applicable Products: Digital camera, LCD TV, CD Player, Shaver, Toy, Power light, Flash light, LED light, Clock, etc OEM orders are welcome! 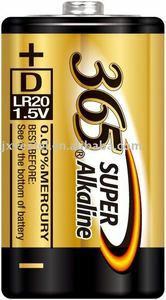 Alibaba.com offers 61,879 alkaline batteries battery products. About 1% of these are rechargeable batteries, 1% are storage batteries, and 1% are digital battery. 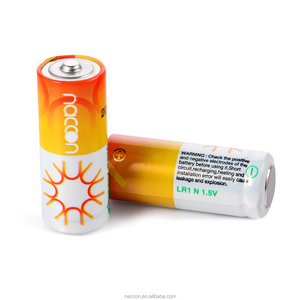 A wide variety of alkaline batteries battery options are available to you, such as zn/mno2, zinc carbon, and limno2. 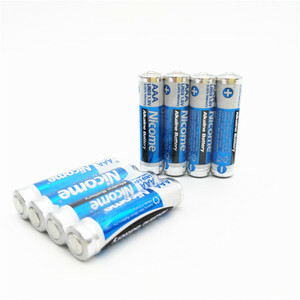 You can also choose from 1.5v, 12v. As well as from free samples, paid samples. 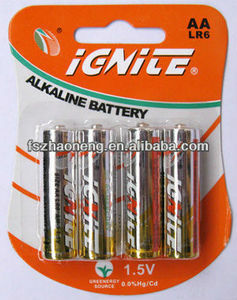 There are 61,282 alkaline batteries battery suppliers, mainly located in Asia. The top supplying countries are China (Mainland), Taiwan, and Hong Kong, which supply 98%, 1%, and 1% of alkaline batteries battery respectively. 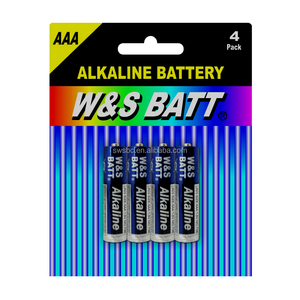 Alkaline batteries battery products are most popular in North America, Western Europe, and Domestic Market. You can ensure product safety by selecting from certified suppliers, including 19,967 with ISO9001, 11,008 with Other, and 2,840 with ISO14001 certification.